The United States Coal industry is on the brink of collapse. Falling natural gas prices have forced share of electricity generated using coal-burning plants to a multi-decade low. The Environmental Protection Agency (EPA), President Obama and even China are contributing to the hemorrhage of coal’s share of the energy grid. Only Sustainable Solution Is Clean Coal Technology. Coal is the most abundant fossil fuel on the planet. Outside of the United States, coal is imperative to the growth of China, India, Indonesia and many other developing counties. Clean coal technologies, however, have either completely failed or cost exorbitant and grossly unprofitable sums. If you owned shares in any of the ‘big 4’ coal miners in 2010, every $1 invested would be worth approximately $0.03 today. For an investor in Arch Coal (ACI), as an example, shares would need to jump 4300% just to recover to 2010 levels. In our view, the most inexpensive way to hedge against a complete write-off of an investment in any of the major U.S. coal producers – and duly a way to capture upside from growth of coal’s share of the energy grid in Asia – is to own Clean Coal Technologies (CCTC). Clean Coal Technologies is expected to release independent results of a commercial-scale test plant designed and built by Leidos, one of the largest and most respected engineering firms in the world, by the end of October. The results will determine whether CCTC’s Pristine-M technology will transform global coal markets and possibly rescue U.S. coal. Pristine-M is a coal-drying and stabilizing technology that will reduce moisture content of low-grade coal and improve energy output, thereby cutting greenhouse gas emissions and ‘upgrading’ the economic value of every ton of coal that Arch and other [coal] producers sell. Figure 2, below, shows an economic comparison of low-grade U.S. coal to coal that is upgraded using Pristine-M, CCTC’s dehydration and coal stabilization process. Based on estimates from the Company, we ran with a base assumption that Pristine-M contributes to a 40% reduction in moisture content of low-grade US coal mined by the likes of Arch Coal, Peabody, Cloud Peak and Alpha Natural Resources. If CCTC’s commercial test plant successfully demonstrates dehydration and stabilization seen in smaller test models, 128,794 Million tons of low-grade coal reserves in the US could suddenly become much more valuable. Combined, Arch Coal, Peabody, Cloud Peak and Alpha Natural –the 4 largest US coal producers- could see an additional $1.5B in annual gross profit, based on current, depressed levels of coal mine production (Figure 3, below). CCTC trades over-the-counter at $0.32 per share. If results of the commercial-scale test plant are reported at the end of October, owning CCTC shares is near identical to owning a 2-month call option on the future of a technology that could upgrade over 128.8 Billion tons of low-grade U.S. coal reserves and 359.5 Billion tons of low-grade coal reserves outside of the U.S.
From this point of view, the maximum downside in owning CCTC is $0.32 per share, or the premium paid for this ‘call option’. We believe the upside is extraordinary – consider that ‘upgrading’ 130M tons, which reflects one of the lowest [U.S.] productions in years, would flow $260M back to CCTC shareholders in the form of high-margin royalty revenue. 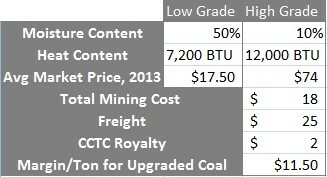 Figure 4, below, compares production levels to royalty per ton of upgraded coal generated by CCTC. To remain conservative, we assumed CCTC is able to secure a $2/ton royalty in exchange for upgrading sub-bituminous (low grade) coal. CCTC is late in their SEC filings. The Company’s shares are relatively illiquid because they trade over-the-counter. We do not have a reliable measure of the Company’s capital structure as of the most recent quarter. However, CCTC has publicly committed to remedy late filings by September 15th. Second, in the long run, fundamentals matter more than price of a Company’s shares in the market at any given point in time. Pundits sometimes refer to this as ‘market inefficiency’. Thus, if CCTC manages to even marginally transform the U.S. coal industry, worth $35B, fundamentals will weigh heavily on appreciation of CCTC’s shares, notwithstanding substantial dilution in the last few years. With this disclaimer out of the way, consider that owning the ‘CCTC option’ – meaning, of course, just the issuer’s common shares – is probably levered 100:1. The opportunity to ‘upgrade coal’ is global; the U.S. alone at current productions levels in the Powder River Basin would yield $260M a year in revenues to the Company. The underlying assumption is that CCTC is able to reduce moisture content in coal to 10%, which is conservative based on previous tests of their Pristine-M technology, albeit on a smaller scale. Should October’s results mirror past results, we believe CCTC could change the fate of Arch Coal, Peabody, Cloud Peak and Alpha Natural in 2016. Leidos, formerly known as Science Applications International Corporation (SAIC), is one of the world’s largest defense contractors and employs some of most qualified and experienced researchers, scientists and engineers among its 19,000 employees. Leidos and CCTC have agreed to work together in the construction of commercial 1MM ton/year plants once Pristine-M in proven in October. Leidos’ involvement suggests that the defense giant believes Pristine-M is more than likely ‘to work’ and commercial roll-out will be hugely successful. The firms’ economics in the deal rest on finding clients that will contract them to build coal-treating plants based on CCTC’s technology. For a firm of this size and reputation to back CCTC is validating of this small Company and further suggests Leidos sees substantial engineering fees arising from coal miners, power plants and other coal industry stakeholders licensing the rights to CCTC’s dehydration technology. Jindal Steel & Power, India’s 3rd-largest steel producer and coal miner, has already licensed Pristine-M for 25 years and expects to build a 1MM ton/year plant following October’s outcome. The Indian conglomerate will pay the Company $1 per metric ton of coal processed using CCTC’s methodology for upgrading coal; a price point that Jindal captured with a licensing payment and early involvement with CCTC following pilot study results of their dehydration technology. CCTC’s management team has a deep background in the energy sector and financial markets, and global relationships that should facilitate rapid deployment of CCTI technology once it’s proven. The current team has credibility through their agreements with large multi-nationals at early stages of the technology’s development. In Ohio, American Electric Power clean-coal project was unable to secure $2B needed for a 600-megawatt plant; in Minnesota, Mesaba Energy Project failed due to ballooning costs. Mississippi’s Kemper plant is heading down the same path as the plant is blowing through money and past deadlines. The original estimated price tag of $1.8 billion has swelled to $6.2 billion and plans to operate in 2013 have been pushed back to the first half of 2016 at the earliest. With a potential data readout in October, CCTC could be the last resort for U.S. coal miners after one ‘clean coal’ project after another has failed to yield results. CCTC estimates that the cap-ex of their dehydration plant will be around $45 Million, which is on the very low end of clean coal technologies trying to solve one of the world’s most important energy problems. If we assume 1% of a $100,000 investment in Arch Coal, worth ~18,480 shares, is ‘hedged’ by buying CCTC common shares – which, for clarification, we’ve stated is essentially akin to owning inexpensive call options – an investor would own 3050 shares [of CCTC] at recent market prices. By our estimates in Figure 4, above, the value of those shares would likely be north of $5, if we assign a conservative 1x sales multiple to value the Company based on royalties from only the U.S. coal miners. Therefore, upon a successful outcome in October, allocating 1% of an investment in any of the brink-of-bankruptcy U.S. coal companies in Clean Coal Technologies (CCTC) would return >1400%, with the [unrealistic] assumption that this development would not lead to appreciation in price of shares of the coal mining companies themselves and, perhaps, coal production. In our view, there is no better risk to reward opportunity in the clean energy space, as we previously wrote. Globally, coal dominates the energy grid. The infrastructure needed to completely wean the world’s dependence off of coal is trillions of dollars and generations away, at best. Natural gas is hovering near all-time lows, but even its biggest supporters admit a lack of infrastructure will limit the amount of energy share it takes from coal. When, not if, the price of natural gas rebounds in the U.S., so will coal. When, not if, China or another major economic center returns to extraordinary growth in their economy, they [emerging nations] will inevitably rely on coal to power their growing electricity needs. Coal is integral to global energy security globally (as shown in Figure 5, above), including the United States. But prices of coal are unlikely to rebound meaningfully as natural gas supplies are abundant and create cleaner electricity. While the world waits on a macro-economic shift to change the outlook of the U.S. coal industry, we believe one of the most disruptive advances is happening domestically at Shady Point, OK, the site of Clean Coal Technologies’ (CCTC) Pristine-M commercial scale plant. Leidos is leading the engineering, build and development, but in October, should Pristine-M be validated, the real beneficiary will be CCTC itself. And, perhaps, in the process of finally delivering on a clean coal technology, U.S. coal miners could finally have a reason to celebrate too.